1. The idea is to emotionally move the crowd and make a statement. You want to leave a lasting impression in someones mind which they will be talking about long after the battle has ended. 2. Think about the buildup before the punchline… Are you with me? That buildupis like the calm before the storm… It sets the anticipation of whats coming after and then BAM!!! Everyones laughing and it’s pretty much game over. 3. And of course your environment plays a major role as well. One of my favorite types of punchlines are the ones that directly attacks what the other person is wearing. Especially in this day in age where there are some hilarious fashoin trends going on. There are so many things someone can come up like your hair cut, shoes, or facial features (which I think hurts the most because you can change that). When you directly talk about something everyone can see right then and there, it switches it from a “metaphor” to “reality” making it more devestating to the one on the recieving end. 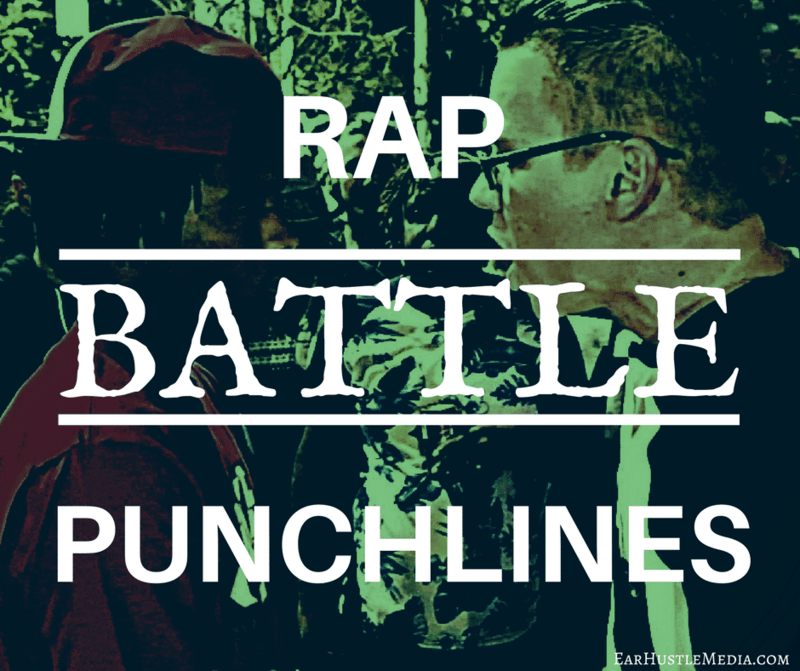 Rewatch the videos and take notes for ideas you can use when you’re in a rap battle. The possibilities are endless when you get used to battle rapping.